Another month, another round of bee blocks. 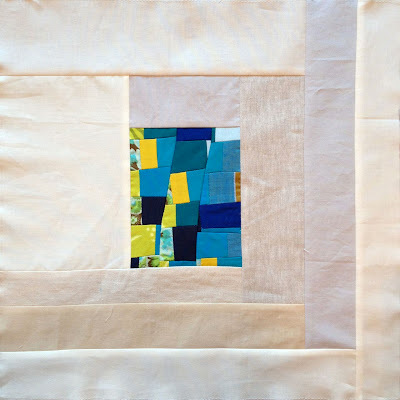 For the Free Bee, Leanne She Can Quilt asked for tiny improv blocks framed by neutrals. 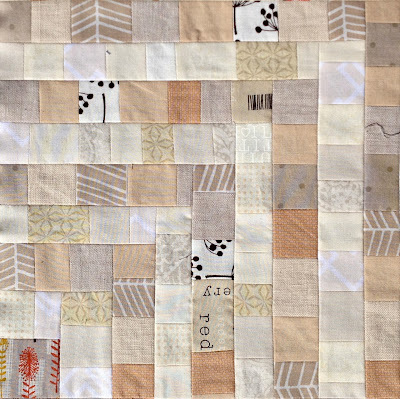 I did a bit of curved strip piecing, surrounded by off-white cottons and linens. 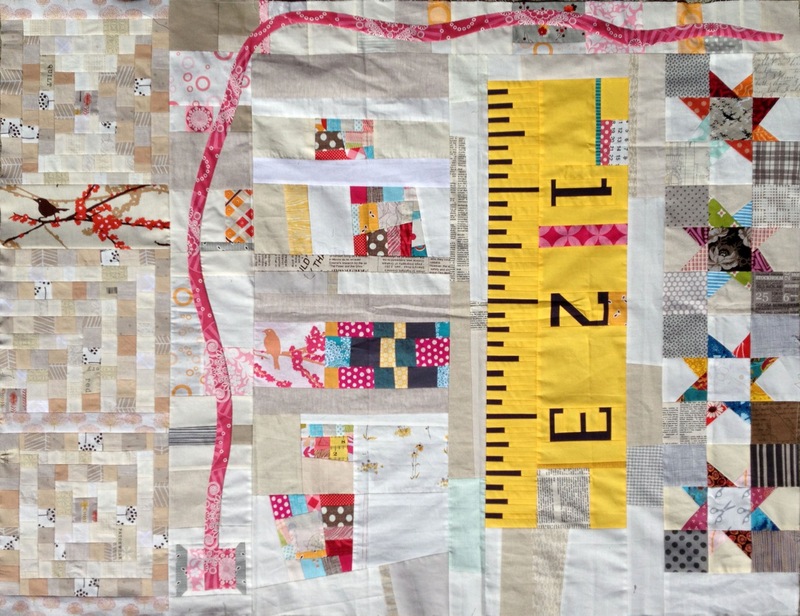 The block is 15.5x15.5, unfinished. 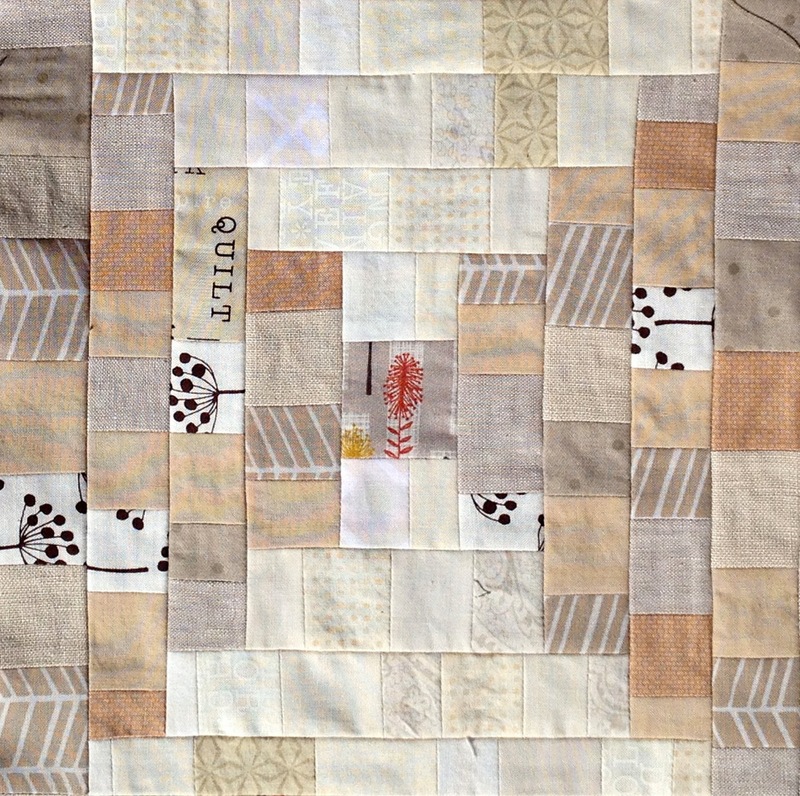 I have a feeling Leanne's quilt is going to be gorgeous. 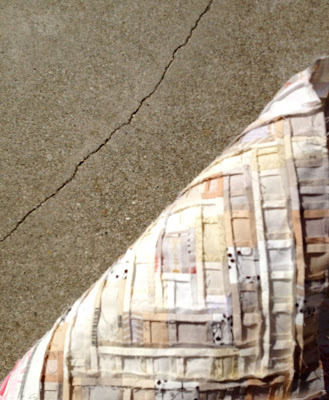 For the Traveling Quilts, I worked on Amber one Shabby Chick's quilt. 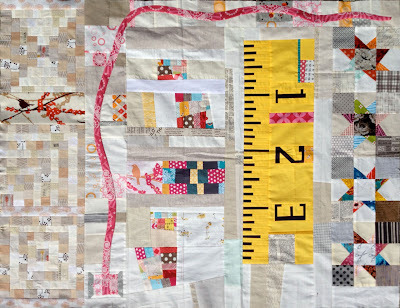 There's so much energy in the quilt already, I decided to go low volume. I added the column to the left of Monica's spool and thread. 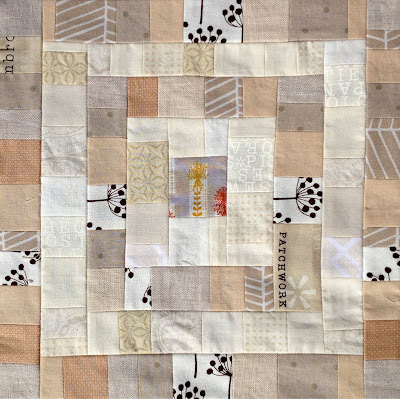 The bird in the middle of the quilt looked lonely so I gave him a friend to sit between my three log cabin blocks. More precisely, there are two courthouse steps blocks and a chevron log cabin. Any now Penny gets to take a shot at this one, too! And one extra photo, with drama provided by concrete and wind. Very, very beautiful, Dan! Are the measurements in inch or cm? 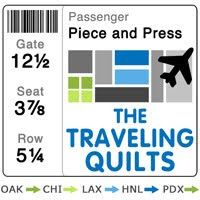 I too think that my quilt is going to be wonderful, thank you again for such an awesome block. Wow, Dan. The low volume section you added is stunning! And the bird works perfectly. 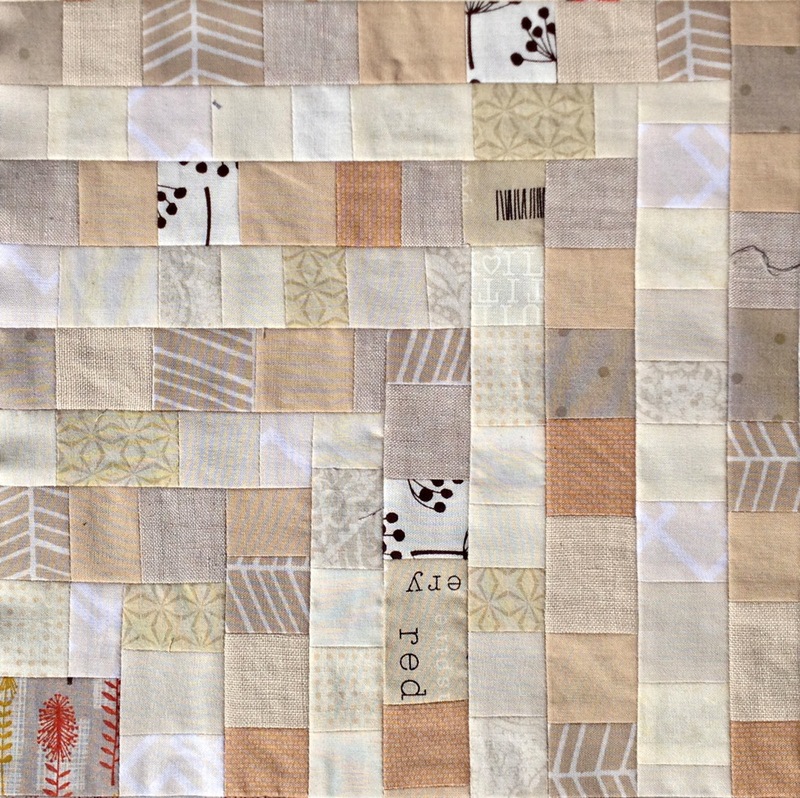 I really have enjoyed seeing these quilts develop! And Leanne's block? LOVE. 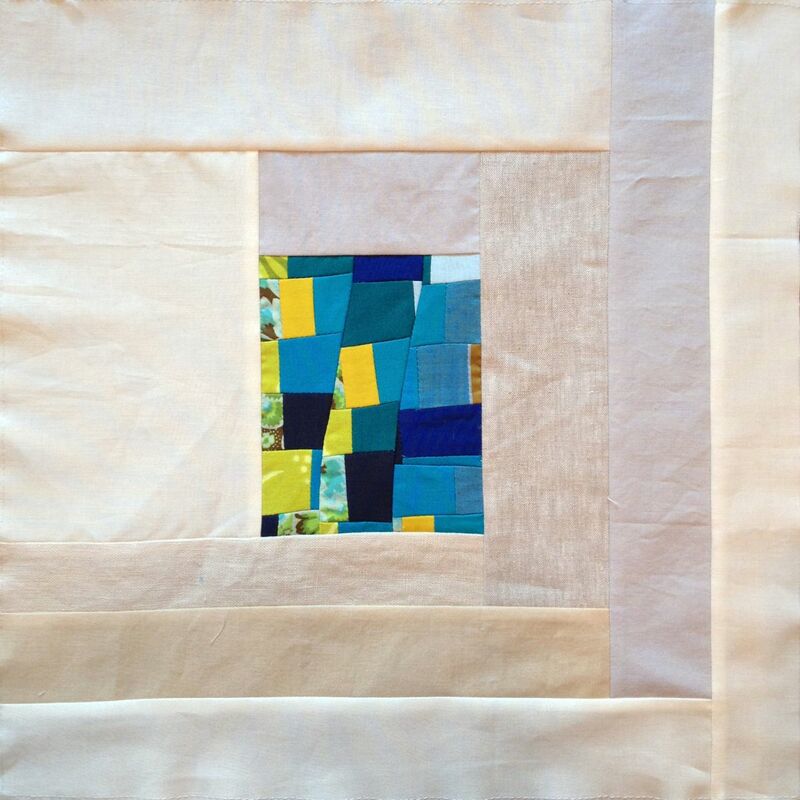 Your oatmeal colored blocks are so wonderful. 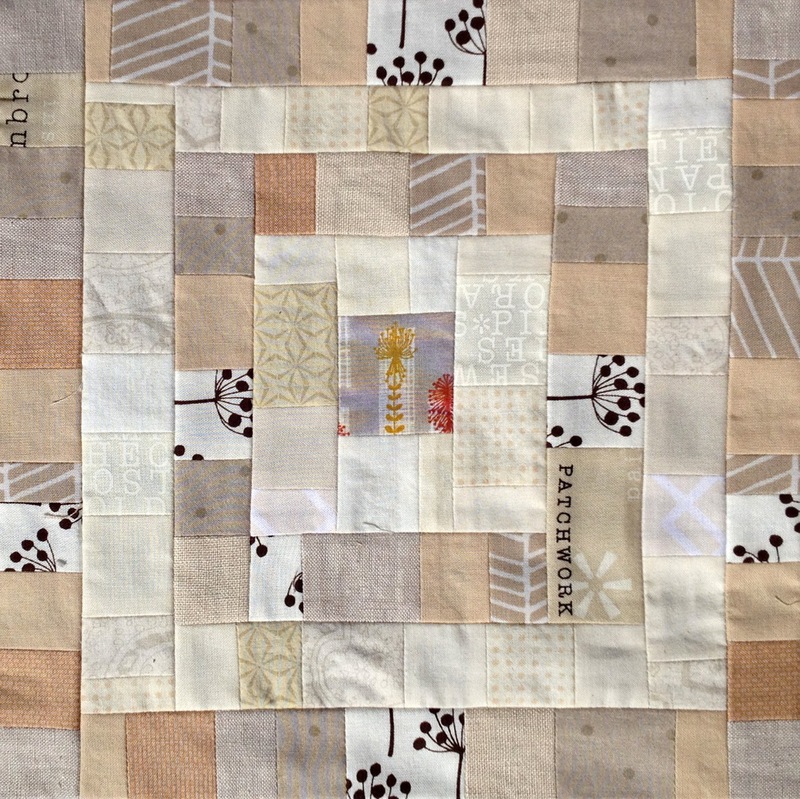 I'm still new to quilting but I'm very inspired by many of the mono chromatic quilts I've seen around the blogosphere. Thank you for sharing. I just purchased 4 packs of nickles in the oatmeal family. Now what to do with them!